DETROIT (Bloomberg) -- Continental's finance chief, Wolfgang Schaefer, called last week's China-related global stock slide an "overreaction" and said he still sees growth in the nation's auto industry next year. Auto production in China will be flat for the rest of 2015 and increase 3 percent to 5 percent next year, said Schaefer, chief financial officer of the German supplier. China's surprise devaluation of the yuan last month and a crash in domestic shares rattled stock and commodity markets. "That was somewhat of an overreaction," Schaefer said in an interview Thursday with Bloomberg. "We believe the worst is over." 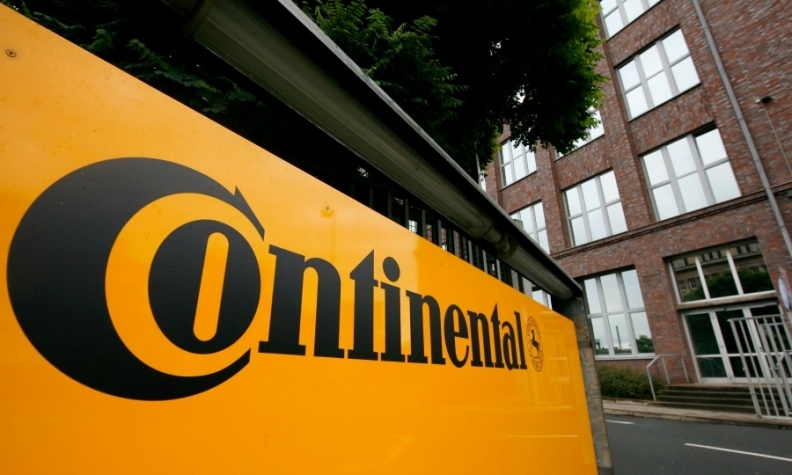 Continental received 20 percent of its revenue from Asia last year, an increase from 16 percent in 2011. The company generates three-quarters of its sales in Europe and North America. Asia is also less important as a source of automotive profit for Continental. A fully loaded car in the region has half the highly profitable safety and technology features as a similar vehicle in Europe or the U.S., Schaefer said. Continental doesn't see a return to growth in the short term in Brazil, which is in the throes of its steepest recession in 25 years. The company isn't profitable in Brazil, where auto production has declined for two straight years, he said. "We're not at all preparing for growth in the next year," Schaefer said. "We are preparing for a level which is probably constant with this level that we're at now." With two acquisitions in the past year, Continental is returning to growth by purchase after a large deal in 2007 caused debt to spike and drew fellow German supplier Schaeffler into a takeover effort that eventually failed. Schaefer said Continental likes its scale and product lineup, so its acquisition targets are more likely to be smaller software companies that help strengthen its automotive safety and automation products, or rubber-related companies. "When you look at the fastest-growing segments in the auto industry, we are in all those segments and probably No. 1 or 2 in most," the CFO said. Rising U.S. auto sales, along with carmakers' continued expansion in China and the production rebound in Europe, are fueling supplier mergers. Parts companies came out of the recession lean and, after five years of growth, have cash to spend to help automakers meet efficiency mandates and technology goals. Auto-supplier deal values will rise to a record this year as partsmakers seek size and skills to meet demand for software that powers autonomous driving and hardware that boosts fuel efficiency, PricewaterhouseCoopers LLP said in study released last month. The transactions will more than triple to about $48 billion from $14 billion, topping the previous high of $35 billion in 2007, the consulting firm forecast. Continental acquired conveyor-belt maker Veyance Technologies in January from Carlyle Group LP for $1.9 billion and the automotive-software business of Elektrobit Oyj in July for about $680 million. Schaefer said those deals can be viewed as prototypes for Continental's future purchases.